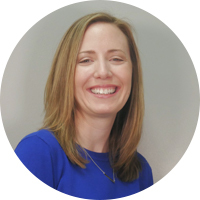 Aarin joins the Track5 team with over a decade of accounting and human resources experience. She is excited to put her knowledge to use as a part of our dynamic and creative crew. A believer in the power of smiles, Aarin brings her smile to the office each and every day. When she’s not crunching numbers or working on company culture, she can be found cheering on her son at his many, many swim meets or floating on a raft in the bay with a cool drink and good friends. Aarin graduated from Millersville University with a Bachelor of Science degree in Business Administration with a concentration in Management.